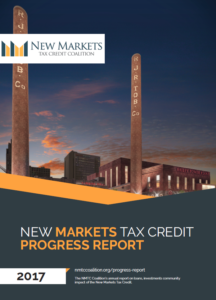 WASHINGTON, June 7, 2017 — The New Markets Tax Credit Coalition today released its 2017 New Markets Tax Credit (NMTC) Progress Report the thirteenth edition of the report—providing a survey of NMTC activities in 2016. As in the past, the report documents the flexibility and impact of the NMTC in meeting the needs of the distressed communities where it is deployed and helping to create jobs and grow business opportunities, from more traditional industry and community sectors to new and cutting-edge technology. Projects which benefitted from the Credit in the past year include rural and urban incubators, small business loan funds, main street tourism, health clinics, manufacturing, schools and even robotics. The report was prepared for the NMTC Coalition, a national membership organization of Community Development Entities (CDEs) and investors organized to advocate on behalf of the NMTC. Every year since 2005, the NMTC Coalition surveys CDEs on their work delivering billions of dollars to businesses, creating jobs, and rejuvenating the parts of the country that have been left behind. The annual NMTC Progress Report presents the findings of the CDE survey and provides policymakers and practitioners with the latest trends and successes of the NMTC. Eighty-seven CDEs participated in the 2017 survey and provided data on their progress raising capital, lending, and investing in 2016 with the NMTC. Survey participants ranged from large, mission-driven national nonprofits to locally-focused community development organizations. The survey findings show that competition for credits continues to drive gains in efficiency. The data collected shows that CDEs used $1.8 billion in NMTC allocation in 2016 to financed 171 NMTC projects, amounting to $3 billion in total project costs, which created over 36,000 jobs in areas with high rates of poverty and unemployment. Further demonstrating support for the NMTC, some 2,000 businesses, nonprofit organizations, banks and community leaders signed a letter in support of the NMTC that was delivered to the House and Senate tax-writing committees in early February of this year. 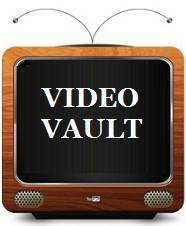 A week later, Senators Roy Blunt (R-MO) and Ben Cardin (D-MD) introduced legislation in the Senate (S. 384), and Representatives Pat Tiberi (R-OH), Richard Neal (D-MA), and Tom Reed (R-NY) introduced a companion bill the House (H.R. 1098). The legislation provides a permanent authorization for NMTC, increases annual credit authority with inflation adjustments in future years, and exempts NMTC investments from the Alternative Minimum Tax. For examples of how the NMTC is making an impact in each state, see the NMTC Coalition’s NMTC at Work in Communities report or check out its Project Profile Map. The New Markets Tax Credit was enacted in 2000 in an effort to stimulate private investment and economic growth in low income urban neighborhoods and rural communities that lack access to the patient capital needed to support and grow businesses, create jobs, and sustain healthy local economies. The NMTC is a 39 percent federal tax credit, taken over seven years, on investments made in economically distressed communities. Today due to NMTC, more than $75 billion is hard at work in underserved communities in all 50 states, the District of Columbia, and Puerto Rico. For more information, visit www.NMTCCoalition.org.